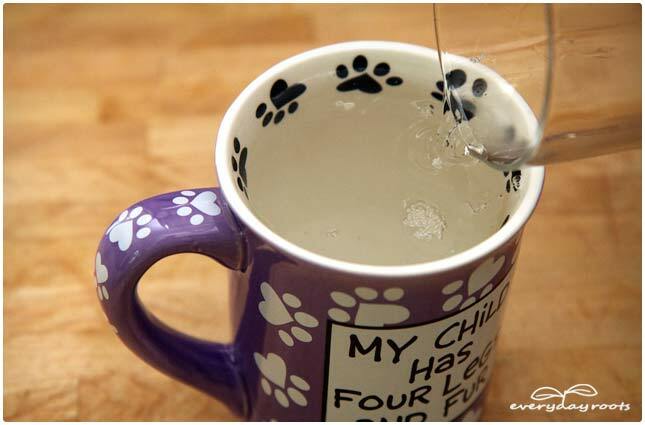 As a tea lover, I am very familiar with the fact that if you have a well-loved mug, or a set of china you use often, it will probably eventually get stained-especially with dark liquids, like many teas and coffee. 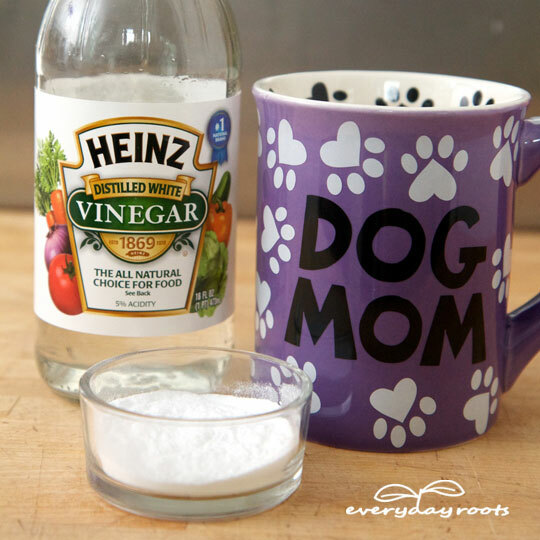 There’s no need to rush to the store to spend money on intense chemical cleaners when this builds up-a little bit of baking soda, water, and vinegar is all you need. 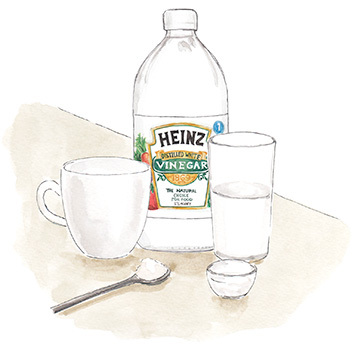 Note: Amounts can be changed, just be sure to have equal parts water and vinegar. 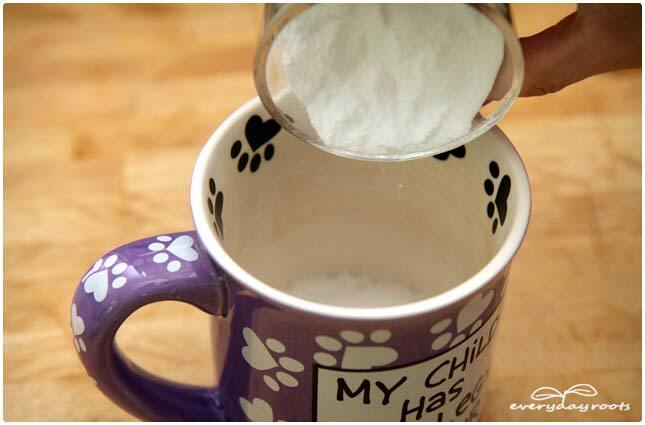 Pour 1 tablespoon of baking soda into your mug or cup. Make a solution of ½ cup of white vinegar and ½ cup of warm water, and pour this into the mug (make sure it covers all of the stained area.) Let this soak for a good 2 hours or so, and then rinse. You can let it sit for longer if need, or give it a gentle scrub at the end with a cloth. 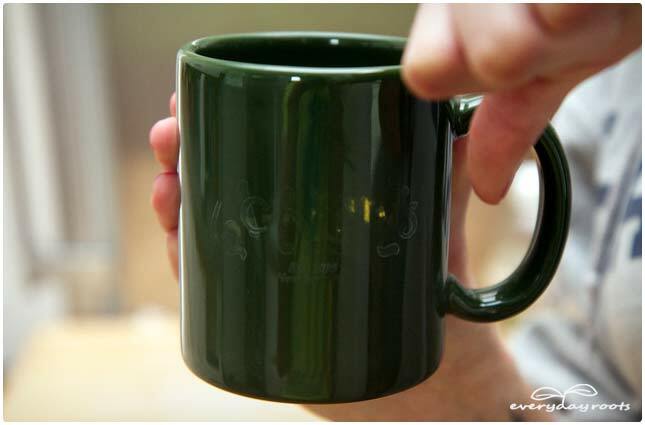 Now sometimes some tea or coffee rings are nice, they can be a comforting testament to how much a mug is loved and enjoyed, but some you might want or need to clean. When that day comes, remember to check your pantry or kitchen cupboard and use these healthier alternatives to chemical cleaning products. I have a mug that my mother had brought back to me from a trip to New York. She knows how dear tea is to me, and this mug was from the oldest tea shop in the city. In old-fashioned print it had the name of the shop on the side. I set it in the dishwasher one day, and unbeknownst to me, somebody went and poured some strange chemical cleaner in and turned the machine on. When I went to retrieve my mug, the very writing had been faded and stripped off of it. A precious mug that I had also had since childhood was in that load. It showed a print picture of a young boy next to a trolley operator back in the early 1900s in my neighborhood-that too, has been faded forever. Devastated (yes, devastated, my mugs are a part of my daily life) I have not even looked at such a cleaner since. 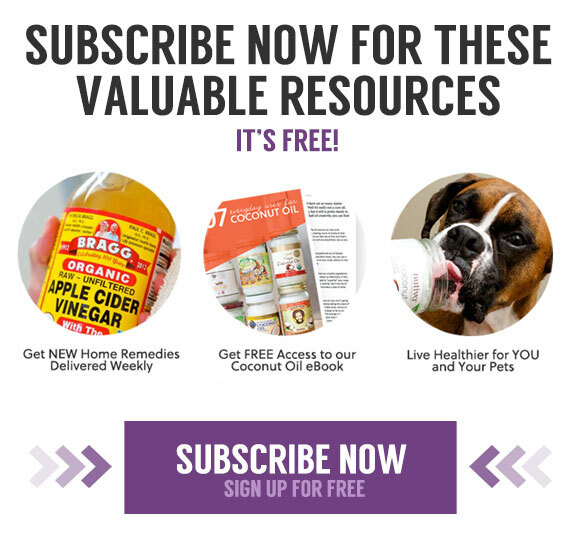 Do your pets have accidents? 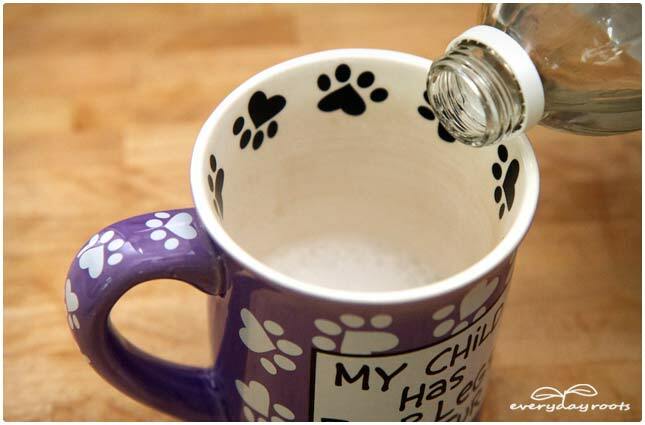 Learn how to remove pet stains and odor without chemicals. Why Are We Still Eating Mutant Fruit?